I was lucky to spend my last semester at Florida State University abroad in Florence, Italy. It was an amazing (hot!) summer where I first discovered wine I liked and was seriously overwhelmed by good food. 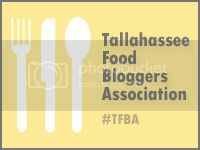 When I got home to Tallahassee, I learned how to cook all of my favorite dishes from Italy, and my passion for good food and cooking took off from there – learning to cook all of my favorite things from my childhood and beyond. The two of the first dishes that made an impression were Risotto Milanese (ridic!) and Pasta alla Carbonara. 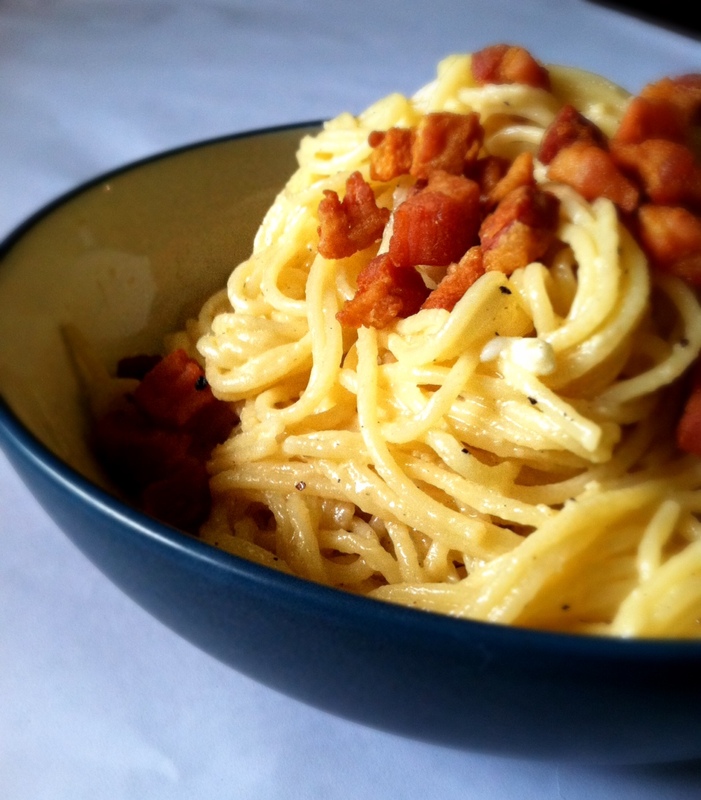 Carbonara looks complicated, but comes together very quickly and is a luxurious sauce that is seriously addictive. Pancetta seems like an exotic ingredient but it is simply uncured Italian bacon. It is definitely worth seeking out at the grocery deli counter or Italian specialty store. Via Wikipedia: As the name is derived from carbonaro (the Italian word for charcoal burner), some believe the dish was first made as a hearty meal for Italian charcoal workers. Begin cooking the pasta (per the instructions on the box) in salted water. Meanwhile, in a large skillet, saute the pancetta in the olive oil until crisp (you can omit the olive oil and let it crisp in its rendered fat). Remove the crispy pancetta with a slotted spoon and set aside. Discard all but 2 tablespoons of the rendered fat in the skillet and set aside. In a bowl, combine the eggs, cheese, and pepper and mix well. Set aside 2 tablespoons of the pasta cooking water, then drain pasta. Quickly toss the pasta with the butter, then add the egg mixture and toss. Transfer the pasta to the skillet with the reserved pancetta fat and quickly saute it until the egg mixture has adhered, adding the pasta water. Sprinkle the reserved pancetta over the finished pasta and serve immediately.